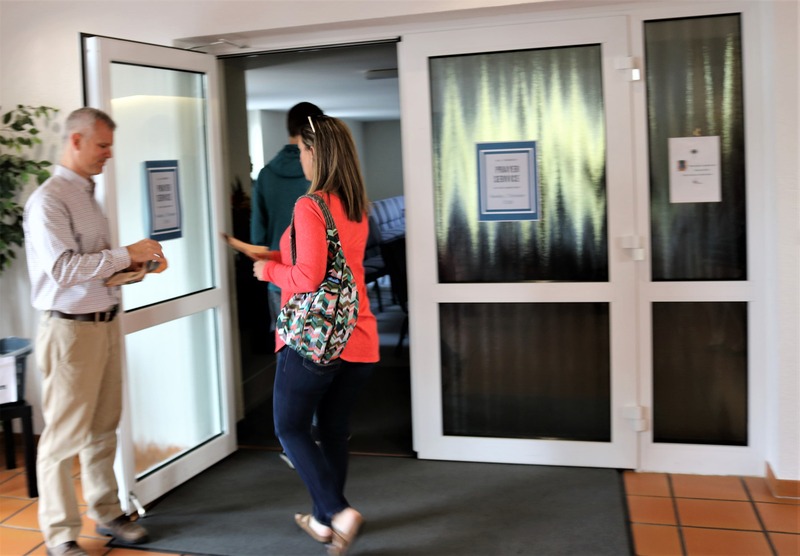 The FBC Welcome Ministry is a team dedicated to providing a warm welcome to those people coming into church on Sunday mornings, providing for church-wide events as needed, and creating an atmosphere that is pleasing to God in God’s house. At FBC the welcome team recruits volunteers to be greeters at the main doors before each service, directing people as needed. Our team will also help at the desk/counter to answer questions, discuss other ministries/events, and take personal information on a registration card. Each Sunday we provide coffee, juice and snacks to promote fellowship in the foyer in a comfortable environment. The welcome team also coordinates church-wide events related to food & fellowship. Each member of the welcome committee is a full member of FBC and is voted in at a church business meeting.